Robotic operating systems are gaining popularity in gynecological procedures and the doctors at Solace Women's Care are using robotics to help their patients get the best care possible. 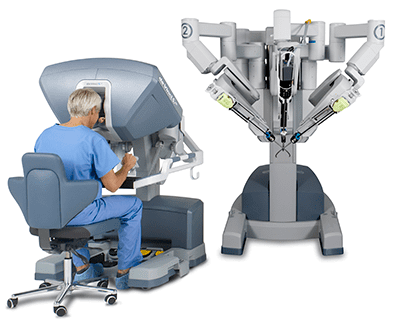 Surgeries that can be done through robotics can include hysterectomy and ovarian surgery as well as a number of conditions that benefit from the increased precision and effectiveness of robotics. Patients that undergo robotic surgery may also experience less pain, fewer cases of infection and lessened recovery times. The robotic systems consist of two mechanical arms and a remote control unit. The surgeon manipulates the remote control while the robotic arms carry out the commands. The arms consist of multiple appendages that serve as a hand and surgical instruments can be changed out to perform a number of tasks. There are a lot of advantages to using robotic surgery but only you and your doctor can discuss the pros and cons. These minimally-Invasive procedures avoid open surgery in favor of a less traumatic surgery. Usually these procedures can be done vaginally and or involve use of laparoscopic instruments. This allows for the surgical field to be viewed while the procedure is underway through the use of an endoscope or similar camera. This usually results in a shorter hospital stay or even outpatient procedures. The patient usually experiences less pain, less scarring and a reduced incidence of complications. For many patients, a robotic hysterectomy can offer less blood, fewer complications, less scarring and a faster recovery, especially when undergoing more challenging procedures like radical hysterectomy for gynecologic cancer. It is also particularly effective in treating pelvic floor prolapse. Other gynecological procedures include lymph node dissections, cyst removal, and endometrial cancer surgery. 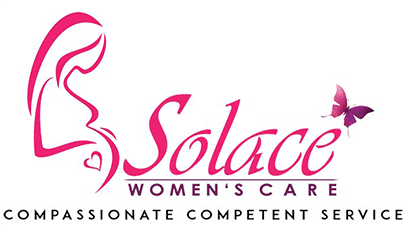 If you feel that robotic surgery might be right for you, contact Solace Women's Care in Conroe, Texas to schedule an appointment. Our trained staff can walk you through the procedure and help you decide if it's right for you.